Preserve your son’s bar mitzvah or your daughter’s bat mitzvah on video to save the memories and share with friends and family. Bar Mitzvah Videography captures the service (and often, the adorably shaky nerves) of your children during their coming-of-age ceremonies. A bar mitzvah videographer also records the party that follows. We serve clients in New Jersey, New York, Pennsylvania and Connecticut. These are memories meant to last. 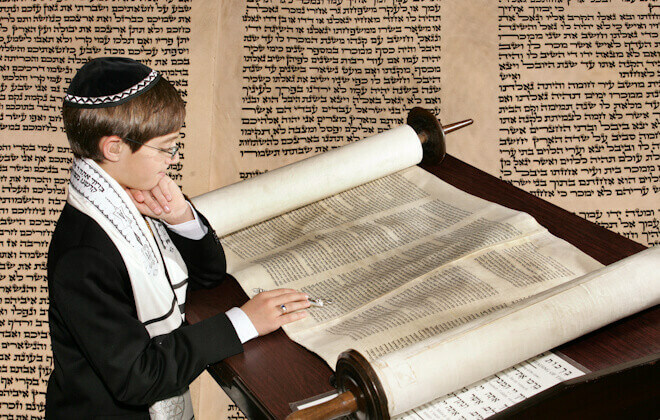 Your child’s bar mitzvah or bat mitzvah is a special and momentous experience, a once-in-a-lifetime occasion to be celebrated and remembered for years to come. Even your children will treasure the videos when they’re older and can look back on their achievements with a nostalgic eye. Instead of relying on memory or grainy snapshots, capture the event for posterity! Maplewood Country Club Bat Mitzvah of Alexis This is a Bat Mitzvah Highlights Video created for Alexis. Reception was held at Maplewood Country Club in Maplewood , NJ. The video was captured by 1 videographer. This video was captured and edited by New Jersey leading Wedding Videography & Wedding Cinematography Studio – New Jersey Videography – East Brunswick, NJ. Atrium Country Club Bat Mitzvah Video of Emma This is Bat Mitzvah Video Highlights created for Emma, whose Reception Party was held at Atrium Country Club in West Orange, NJ. The video was captured by 2 Bat Mitzvah videographers. This video was captured and edited by New Jersey leading Bat Mitzvah Photography & Bat Mitzvah Cinematography Studio – New Jersey Videography. Congregation Emanu-El of Westchester Bar Mitzvah Video of Mac This is Bar Mitzvah Video Highlights created for Mac, whose Reception Party was held at Congregation Emanu-El of Westchester in Rye, NY. The video was captured by 1 Bar Mitzvah videographer. This video was captured and edited by New Jersey leading Bar Mitzvah Photography & Bar Mitzvah Cinematography Studio – New Jersey Videography. At New Jersey Videography, the well-trained and respectful bat and bar mitzvah videographers bring their skills and passion to bear for your event. Using high-definition camera equipment and hidden, wireless microphones, they can get close to the action to reveal every expression and every wavering prayer. A bat or bar mitzvah videography film captures more than the event itself; it shows the emotions during the event. Documenting the celebration of a special and significant day preserves it forever. Commit your child’s bar/bat mitzvah videography to film for a keepsake you’ll always have and always cherish. Why should you hire New Jersey Videography to record your children’s bar or bat mitzvah service? Because New Jersey Videography has the proven experience and the patient talent to produce high quality results. And they do it so unobtrusively that you hardly know they’re there. The bat or bar mitzvah videographers at NJ Videography are professionals dedicated to exceeding your expectations with an approach that’s practical in application, but imaginative and creative in the end. You’ll get a video that’s gorgeous to look at, one you’re proud to share. Steadfast and reliable, the bat and bar mitzvah videographers at New Jersey Videography are committed to deliver of a product of unbeatable value. Your video of your child’s bar mitzvah or bat mitzvah will surpass your wishes as it effectively communicates your vision for your child’s momentous day. The quality of the bat/bar mitzvah videography will be both appealing and entertaining. It takes a special talent to bring out the best of a bar or bat mitzvah. Choosing the angles, getting the best shot and maintaining the best sound quality all require a steady hand and a lot of experience. When you hire New Jersey Videography for your New York or New Jersey celebration, you get all that and more: a creative flair in keeping with your wishes. Allow New Jersey Videography to put their many years of experience, their unbridled enthusiasm and their love of photography and bar mitzvah videography to work for you and your child. Make their bar or bat mitzvah films your most precious memory. Our NJ photographers are best in region, they pull elements out of everyday surroundings and mix them to create a visionary story that tugs at the heart. They capture your unique personality, chemistry and magic during your big day through camera eye. Our Bar/Bat Mitzvahs videographers and photographers are members of the best rated group of NJ photographers. Do you have questions about Bar/Bat Mitzvahs Videography or Photography? Would you like to schedule an appointment with nationally recognized, best rated videographers, NJ wedding photographers? Please contact our event photography and cinematography experts for a FREE consultation. During your initial consultation we offer a wide variety of photography and videography samples including Wedding Videos, Indian Wedding Videos, Bar Mitzvah, Sweet 16, Anniversary Video and discuss pricing options. We offer photo and video package discounts.